Rated 4 out of 5 by BellaMorte from Enjoyable This is a great game for those going from beginner to intermediate HO play. With beginning HOs being those without mini games and intermediate with mini games. The mini games in this are not difficult. 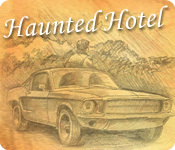 The first in the Haunted Hotel series is the best in my opinion. Rated 4 out of 5 by AwesomeMcPower from I loved my stay here! The theme rooms were wonderful! The game was quite easy, the same objects kept appearing in the same rooms, but it was good fun for a beginner. I would also recommend the sequel to this game, Haunted Hotel:Believe the lies. Rated 3 out of 5 by coffeyfan77 from Checking In To The Hotel That Started It All In honor of the most recent entry in the series, I figured I'd dust off the original Haunted Hotel game and give it another go. Even with the passage of time, this holds up pretty decently overall. Your character ends up in a very mysterious hotel with rooms echoing the different seasons of the year. The story is by far the best part of the game, as it's revealed with lengthy written passages that read like a suspense novel as you make your way higher and higher in the eerie building. Access to that elevator is granted only by recovering a set number of objects from the same eight to ten rooms and also performing standard minigames, primarily untangling strings and using a magnet to pull together the letters needed to form words. Basic but effective. The trouble, naturally, is that not everything else holds up to the very solid story. Sounds are grating and repetitive, music is forgettable, and playing the same games over and over again will be enjoyable only if you're a fan of Match-3 or memory puzzles. Even then it might be stretching it. HO scenes are junkpiles and you'll be locating the same things again and again, to the point that by the end of the game you'll remember half the list from when you were there last. It took me about two and a half hours to finish, beginning to end, and while it was nice to revisit a classic, it's not one I'll be checking into again anytime soon. For completists or giant fans of the series only. Anyone else will prefer the later games in this most excellent line. Rated 3 out of 5 by JulzCat from Might Have Found It Interesting...10 Years Ago I knew this game was going to be a bit of a dud by reading the reviews, but I'm one of those people that HAVE to start a series from the beginning, and from what I've read the rest of the series is far superior. This game would have been interesting a decade or so ago when these games were first getting their start, but there's really no comparing it to the games that are out now. The story was mildly interesting, if not a little uneven. It brought to mind Mikkos Cassadine and his evil weather machine from "General Hospital". By the end of the game, I still wasn't sure what exactly was going on in that hotel. That being said, I did think the "season" rooms were lovely, and I liked the rope and match-3 puzzle games. Other than that, don't expect much. This game is VERY old-school. Rated 3 out of 5 by KitSeason from A look back at the Haunted Hotel I believe this game was the start of all the Haunted Hotels to come and also one of the games that pulled me more into the hidden object genre. With the new Haunted Hotels arriving, I decided to go back to my roots. By today's standards, it's not much. 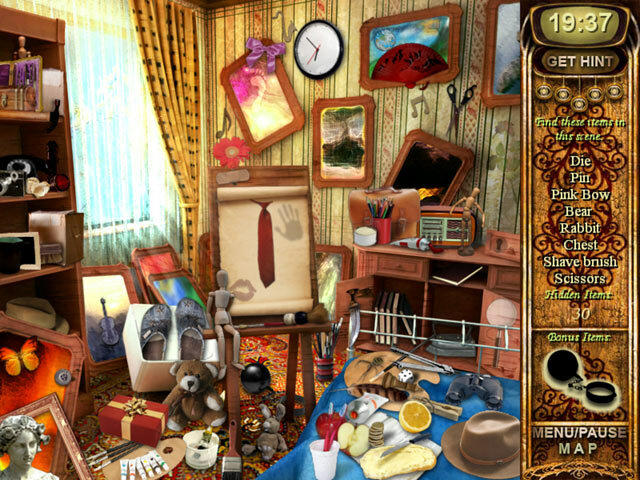 There's a lot of narrative in between hidden object scenes, but the good part is that some of it is actually funny. There are some special effects which were unique at the time and still aren't too bad as I play it again today. 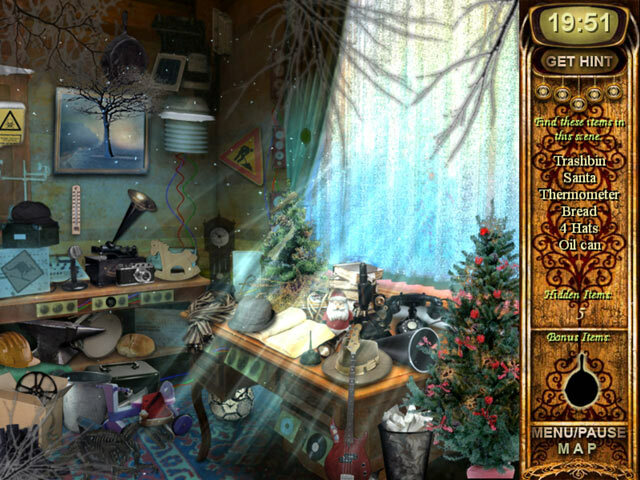 It is a good start to hidden objects although now after long experience the scenes are a bit of a yawn. Another reason to play this game is to see the progress the developers have made since their beginnings. They have continued to grow with every game it seems. I like to go back some times and play from the beginning of series up to present, so in that respect it's an interesting experience. Rated 3 out of 5 by Debby925 from Good for beginners This game is very verbose and the hidden objects puzzles are really easy. The extra puzzles are really silly and one doesn't even make sense. Don't waste your time if you are short on it. Rated 3 out of 5 by JustTheFacts from Just Like Reading A Book BASED ON DEMO I imagine this game must have been quite something in its day (Jan 2009). The production values are great. The graphics are adequate even by today’s standards. The gameplay is a classic example of the way HO games used to be played. Dated, yes, but appealing all the same. The one thing that will really put a lot of people off, but which I find endearing, (partly because no developer would be brave enough to do it these days) is the extensive prologue and subsequent instalments of the story. The story is told by a diary, each line appearing at about reading pace. There is of course no voiceover, and after the intro cut scene (excellent comic graphics), all the action is narrated threw this method. During each chapter thereafter there is also several pages of story that take longer to read sometimes than the chapter takes to play. But it is a fine story. A traveller is involved in a car accident and ventures down the road to a hotel in search of assistance. When he gets there the place is deserted. The more he looks around, the more he discovers mysterious and ominous surroundings, strange phenomena and terrifying screams. This is the stuff of the diary. The game itself is pure HO, so you must read this to get any sense of progress. GAMEPLAY Each level has a number of mini-games you must complete in order to move on. These include puzzles like untangle ropes and a variety of arcade-like mini-games. Within the demo, these are not too difficult, but I anticipate a time when they will be. Which makes the fact that there is no skip for some of them, and that everything is timed, daunting. The increasing number of ‘rooms’ (HO scenes) in each level require you to find an ever increasing numbers of items from a list, as well as some bonus items that get you power ups such as more time. You get five hints per level. My one major criticism is that the background for the listed items is too ‘busy’, making it difficult to read the words. This game is certainly not for everyone. Many would actively loathe it. But if you’re feeling nostalgic for the way it used to be, when HOGs were as challenging and high stress as any other casual game, then this could well be your thing. It is also fun to see how this series started and how it evolved to what we love now. Rated 3 out of 5 by neilskinut from old type of HOG Not the new real fun games to play. Pretty much HOS which are not bad. No real adventure here. Try it out and see. Just good practice for a new bee. Rated 3 out of 5 by auntjo8 from not that interesting I wasn't impressed and wished I hadn't purchased it. The first hour was interesting but then it just continues with the same boring stuff over and over. Lost interest very fast. Rated 3 out of 5 by cathain3 from Play the free version first to see how you like it I got this game free and I liked it, but it was pretty easy. The "puzzles" were simple and the HO scenes were typical where you find random objects that don't help you solve the mystery. the plot/story was told in journal fashion like the Mystery Case File games. Just pay the free trial first to see if you want to continue. It is fun and the themed rooms are beautiful, but it is pretty predictable. Rated 2 out of 5 by cj_blondie from Story Waaaaaay too long The story line was page after page after page. I decided to skip most of it because it got in the way of actually playing the game. Searching for the hidden object was okay, but the fog kept getting in the way. I don't recommend this game. Rated 2 out of 5 by Sndwnr111 from Download if you really enjoy reading...A LOT!!! Way too much reading, there were times when it was actually putting me to sleep. I don't mind reading but this was almost like trying to get thru a novel. The hidden objects aren't hidden very well, so there was no real challenge there. And the puzzles were also easy to figure out (only stumbled on one a couple of times). I zipped thru the screens only to be slowed down by the reading aspect of it. Rated 2 out of 5 by FishyFemale from An old game with very passive participation I just finished playing the demo and I'm underwhelmed. You learn the story by reading a book about what's happening. Then you explore various rooms on each level of the hotel by finding hidden objects. You then get to play various minigames like jigsaws, arcade, and untangling ropes. I love jigsaws but was unable to manipulate the pieces correctly so I had to skip those. The others were doable but nothing new since this is a very old game. I love playing old games but this one required just too much reading for my liking and I got bored quickly. The story is interesting and mysterious enough, with a plinking piano piece playing during the narrative portion. Various ambient sounds are heard during the HOS, like whispers, phones ringing, glass breaking, and a man coughing. There's enough here to give a spooky feel but there's nothing actually scary happening. I got to only level 5 in the hour trial but that's because of all the reading that was required. You can easily skip through all of it but then you'll miss the storyline. Sometimes I've had to reread portions in order to catch all the details. You never get to see any real people, only sketches in the book. I think this game has a limited audience just because of all the reading that is required, and most gamers today want more active participation in their gameplay. This game doesn't offer that. Do try the demo yourself though. I really wanted to know the entire story, but I just couldn't muster up the desire to buy it because I got bored and don't think it has any replayability. Rated 2 out of 5 by arnold1049 from LIKE READING A BOOK This game consisted of reading 2 or 3 pages of dialog, then playing HOS. At various times, there would be puzzles to play to advance the "elevator"; these puzzles were repetitive and very easy. The HOS increased in number and the number of items within each scene also increased as the game progressed. Yet often you would be finding the same item. The scenes were about average in difficulty; most items were easy to find with one or two a little harder. The HOS supposedly represented rooms in the hotel which the narrative explained. This was a very disjointed game which required way too much reading of a story that had absolutely nothing to do with the subsequent HOS and puzzles. It was also fairly short. I thought it was a lead-in to the other Haunted Hotel games, but now I don't think so. Rated 2 out of 5 by kbarnes03 from Mediocre and boring Someone got really lazy on the design of this game. All you do is go room to room and find objects. There is no challenge and no movement. You are in a fixed location (the elevator) and there is no interaction with any other characters or objects. I'm not even sure what the exact storyline was, as the only way to know that was to read the novel of a journal they provide and I just skipped over that. I want to play a game, not read a book. The "mini-games" are pretty lame and repetitive. I'm glad this was just a demo and not a game I actually purchased...I would have wanted my money back. I would suggest passing on this one and find something with more creativity behind it. I suppose this would be okay for a beginner or a child, but I did not enjoy it. Rated 2 out of 5 by LoneCleric from Not worth it Nothing in this game has truly aged well: the graphics, the GUI, even the overall experience. These are things I usually forgive if the storyline is any good... but that didn't happen here. It seemed to me that the authors worked hard at putting *every single* element known to induce chills in the storyline, resulting in a convoluted hodge-podge of scary stuff, and barely any resolution. 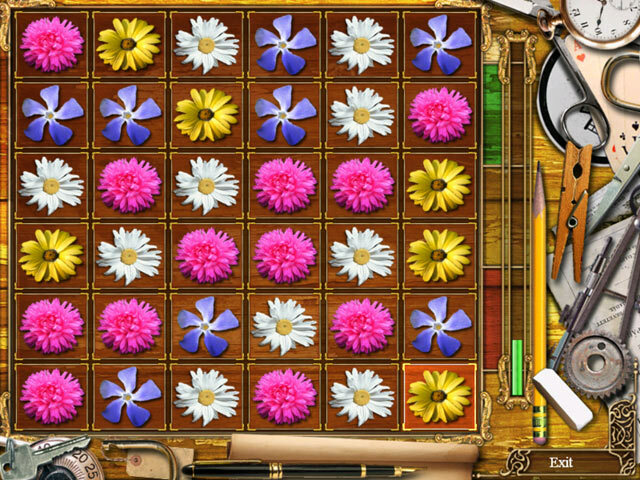 Gameplay-wise, the game follows the pattern used by many games, including the original "Ravenhearst". In each chapter, a few locations are "open", and you need to find most of the objects in each location, in a given period of time, to move on. The big difference is that instead of being shown a map, you're shown a corridor, with open doors leading to the different rooms. Rated 2 out of 5 by Jurinne from Be Afraid! Be Very Afraid! As far as I can tell, this game is a series of timed minigames. The instructions for the games are bewildering at best and remember, they are timed. I'm a beginner with old glasses. I do not want to be rushed through anything. But I was willing to try. If I had been able to understand the instructions I might have had a fighting chance. But they made no sense to me. I lasted about five minutes and quit. I'm going to leave this game in my inventory until I'm an expert player with new glasses. If you don't want to be timed, please do not buy this game! As for the storyline, I have absolutely no idea what happens after I supposedly crash my car and go into a hotel with a strange room that I enter after hearing a scream. It's snowing inside that room. And that is all I know. Not fun. Not spooky. Just very, very scary timed games. I would have given it one star but I hope I become better at these games and maybe I will like it more then. Rated 2 out of 5 by luv2playBFG from headache inducing sounds - ouch!! This game was interesting to start - it is unique in its approach to HO but the sound effects were nasty. I know it is supposed to be eerie and all, but yikes - it became so much like a whine I turned the sound off. When i turned it on again thinking maybe it was just me, it was annoying within minutes. The reading required - well, I love gaming when gaming and there was far too much text for me. I actually didn't read it and it didn't make any difference to the game play. On the upside the graphics were good, the HO was very easy and so were the mini games. Sorry peeps, this is not the HO game for me. Rated 2 out of 5 by stiener from Not very entertaining. I played this game for about 30 minutes ad couldn't stand playing it any longer. The HO puzzles themselves were either way too easy or almost impossible to find. There was not in between. The mini games were an added bonus. I did like the idea of playing mini games to build to something. The sound was pretty decent, I liked the audio of the game. The visual, well not so much, I'd have to give it a C. The part that I didn't like the game the most... the story. After every "floor" it gave you a story. We're not talking a paragraph...it was 3 pages...each level. A lot of reading. It kinda made the game drag on. I want to play a game not read a book. Very disappointed. Rated 2 out of 5 by tamiprince from Not a challenge This game just repeats the same old games over and over, was glad when it was over. Rated 1 out of 5 by pennmom36 from Haunted Hotel It's games like this one that make me wish 0 Stars was an option, perhaps negative number would work in this case. I absolutely love the newer versions of Haunted Hotel, my favorite being Haunted Hotel: X which is a fantastic, eerie, creepy game that takes place in a real haunted hotel. I'm not even sure this game is the same series because it's just so bad. The story begins with 3 book pages of dialog to read, which really gets old reading page after page each and every time the character visits a new room. The main character, (whose name doesn't get mentioned), is driving someplace (again no explanation) on a dark winding road in the middle of a storm when he is blinded by a lightning bolt, which causes him to veer off the road and hit a sign. He reads the sign, Hotel 1 mile, and walks to the Hotel soaking wet, but once inside, he cannot find anyone, no clerk, no bellhops, not even a mouse is stirring. He gets on the elevator and goes one floor up, where he hears a woman scream in room 2018. He breaks down the door, and not only is nobody there, but the room is covered in snow and ice. Long story short, each room he visits gets weirder and weirder. You visit each room to find listed items within a certain amount of time. There are several silhouetted shapes shown at the bottom of the list which will earn you extra time or extra hints. After each room, you will enter a room to collect energy orbs, by clicking as many wicked fast flying orbs as possible, I have no idea why. Then you play a Mini game such as a Jigsaw puzzle, Untangling ropes or catching letters with a magnet on a conveyor belt. Honestly, the puzzles are more interesting than the hotel room HOP's. There's nothing haunted about this Hotel, it's not scary, it's just not fun. Rated 1 out of 5 by pah45 from Waste of money I can't believe this is a Big Fish Game. It's terrible. Graphics are cheaply done and blurry. The intro is script and far far too long. Maybe a voice over would have helped, maybe not. The mini games are dumb. More and more script keeps popping up. You haven't even found all the hidden items - and it says you're complete. Really awful game. Rated 1 out of 5 by faith_lantz from Absolutely horrible! Close to the worst game ever! This game is horrible. You go round and round, the graphics aren't very good,the story line is the same ole same ole. The game is ridiculous. Rated 1 out of 5 by pamhamlet from Awful! Do not waste your time or money. This is the worst game I have ever played, and I've been gaming for years. This had NO fun value whatsoever. Lots of corners were cut here. It was a very poorly thought out and cheaply done product. First, the whole game takes place inside of an elevator of a hotel---you are inside of it looking out through the doors into the hallway, with rooms on either side of the hallway. That's it. You never move from that spot. To seemingly "move" around the hotel, the doors to the elevator simply close before your eyes, and when they open again, it appears you are on another floor. Then you just click on one of the doors to the rooms, and are shown a HOS---lots of them, in succession, which are not sharp or bright. They look grainy, a bit monochrome, and some parts of the screen have a misty cloud-cover over areas that further obscures object clarity. The entire story begins and unfolds from a journal which you have to read yourself---page after page of text. It is type written out AS YOU READ it, it is not already printed; therefore, if you have to go back a page to reread something again, you cannot simply turn back to the previous page without the entire page being re-typed, from top to bottom, all over again, line by line, very slowly, while you wait for the page to fill with text. On top of this, there are many spelling and grammatical errors, lack of punctuation, with occasional double words or words that don't fit the context. At one point, his interest was "peaked" instead of "piqued." Then you must read and reread this poor attempt at writing skills, to figure out the whole story. Ugh! Tedious and annoying. You never interact with any character, not even the cat. You must read about everything in your journal with its few, bland pencil drawings---no color whatsoever The repititious background noise is like the sound of a lit furnace in a basement. There are constant "coughing" noises which was dumb. I thought whoever it was in the background could use a lozenge. Be careful of the HOSs--you only ever get 5 hints, and they are all TIMED. The hints flash by very quickly and do not linger over the object, so you could easily waste your hint by never finding whatever was there! Because of the mist, some hints I never even saw where they landed! Some of the objects are under others, so you could use up all your hints and never find the object you are looking for because it is under something else. Also, the cursor must be exactly on the object, so if it is a tiny piece of string, or a line drawn on a paper, you have to get the tip of the finger of the cursor exactly touching that string or line. You cannot just place your cursor over the object and click. I must have clicked on a pencil-thin "lightening bolt" (shaped like a zig-zagged line with an arrow on one end (? ), drawn on a scrap of paper) 4 times before getting just the tip of the cursor (which is shaped like a hand with fingers, not an arrow pointer) exactly on the very thin line of the "lightening bolt" before I could pick it up. Does anyone know what a "trilby" is? Well, I didn't, but it's a man's bowler hat worn in England. Also, a "pin" was actually a clothespin, yet I was looking for a straight pin, a safety pin, or a decorative brooch of some kind.The intermittent arcade-style puzzles throughout are so easy as to make one yawn from boredom. There is no skipping, although there is no need. Oh---again watch out with the HOSs, if you click too many times you are penalized: the game kicks you out completely, says you "lose" and you have to start the game all over again from the very beginning! Not from the point you left off! When that happened to me, I just shut the game down and will never play it again. It was pure agony to get through it as far as I did anyway, and then be kicked to the curb? Not for me! A complete waste all around.